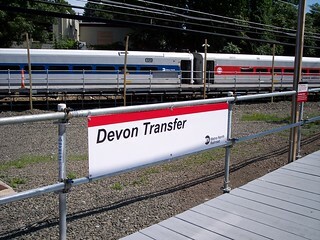 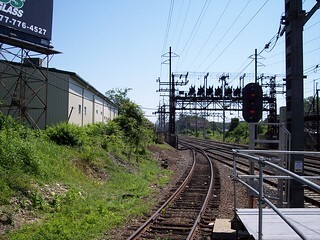 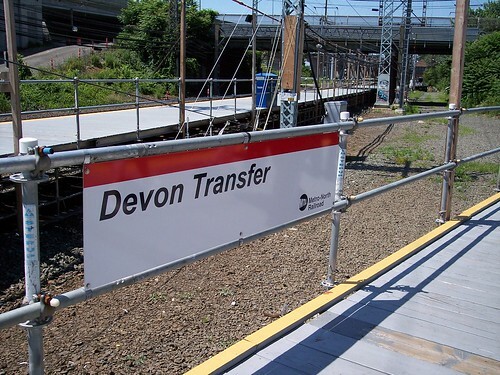 The temporary Devon Transfer station allowed transfers between Waterbury Branch trains and certain connecting New Haven Line trains while bridge construction prevented Waterbury Branch trains from travelling to Bridgeport. 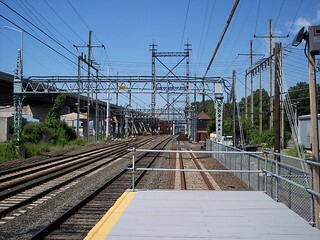 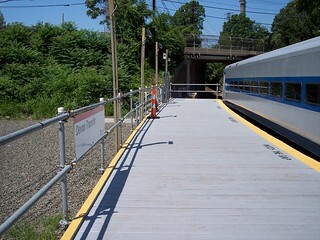 The Waterbury Branch platform is in the foreground while the New Haven Line platform is in the background. 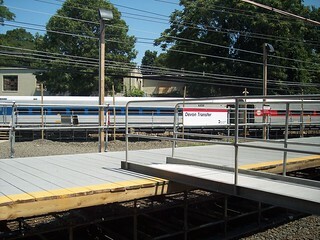 The New Haven Line platform with the Waterbury train in the background. 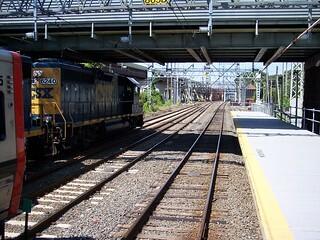 Looking toward the Housatonic River and Stratford. 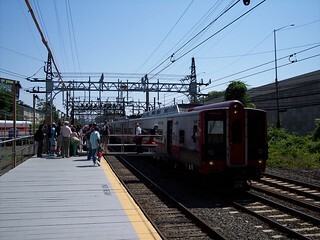 Passengers from Waterbury Branch stations board a New York-bound train. 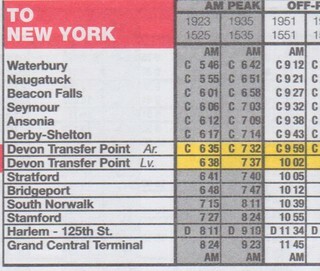 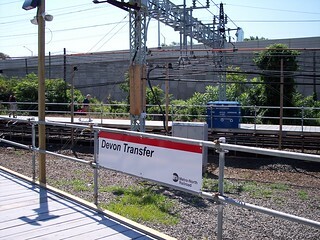 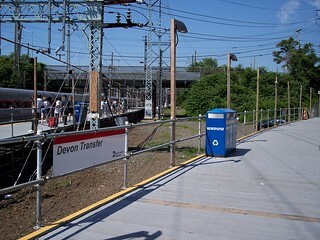 New Haven Line schedule showing Devon Transfer Point.